The powerful action of the bacteria and enzymes in Lim'nate turn solid waste to liquid and odorless gas. Special enzymes control bad odors. 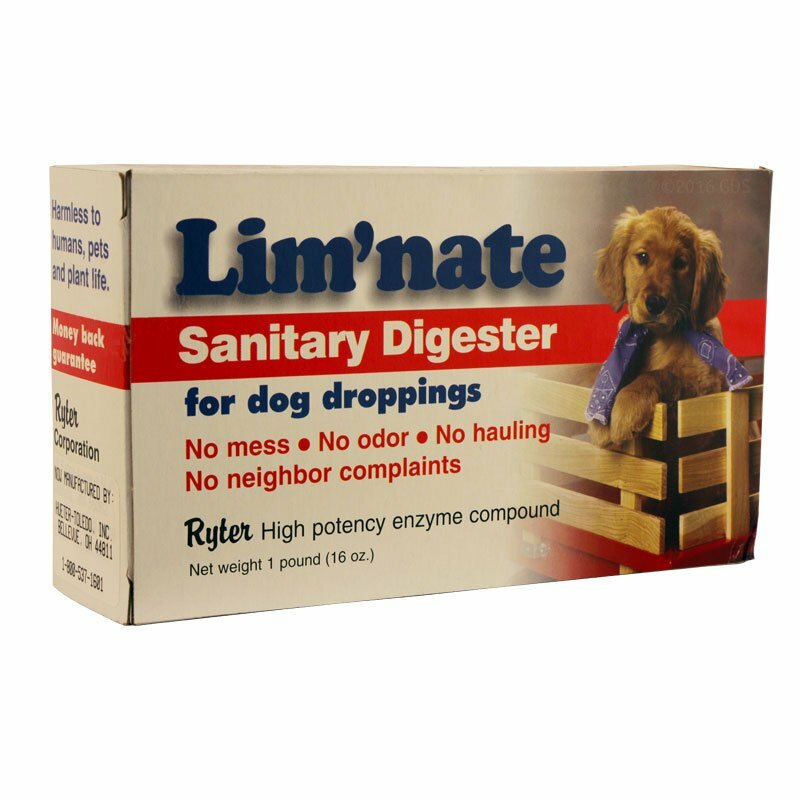 Simply drop waste into any digester, wet with Lim'nate solution, and let nature do the rest. The amount of Lim'nate needed will vary depending on the number and size of dogs and size of waste disposal system. Most systems will require one or two tablespoons per week. Complete directions and free digester building plans enclosed.